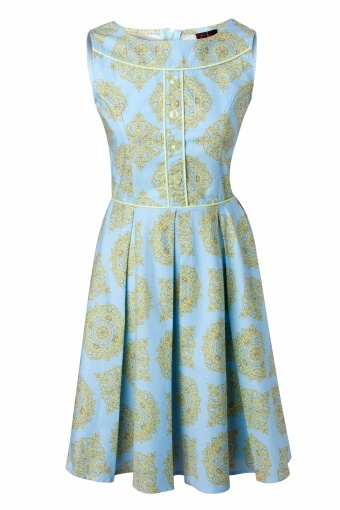 The 60s Elizabeth dress from Retrolicious. 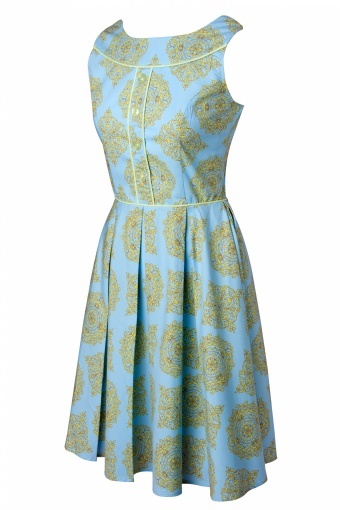 Who could resist this elegant sixties style sun dress with beautiful heavenly blue and lime print and piping detail? The boxpleated full cirlcle skirt is tremendously flattering; whenever you have some areas you do not like to emphasize: this dress does the job! 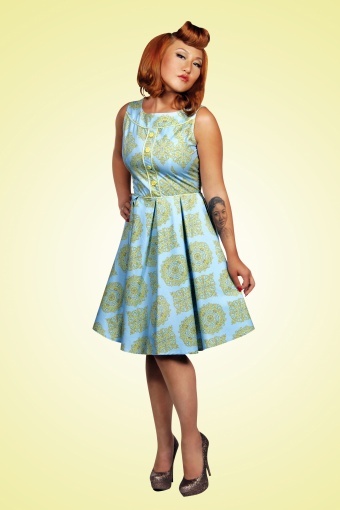 The fitted top in contrast with the full circle skirt gives you a slimmer waist. 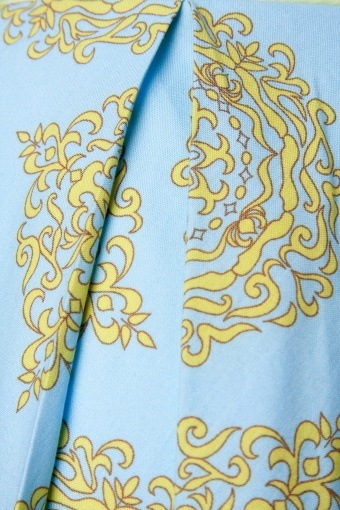 Zipper at the back and made of 100% cotton. 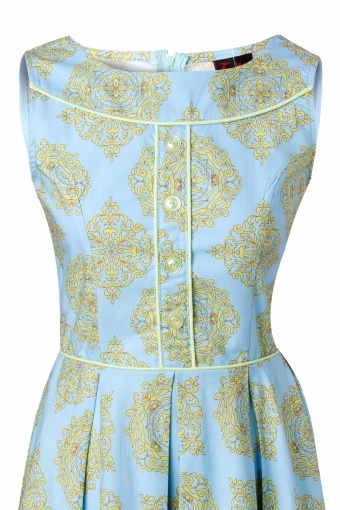 To give it more drama, you could wear it with a petticoat. On the pictures you can see it without. 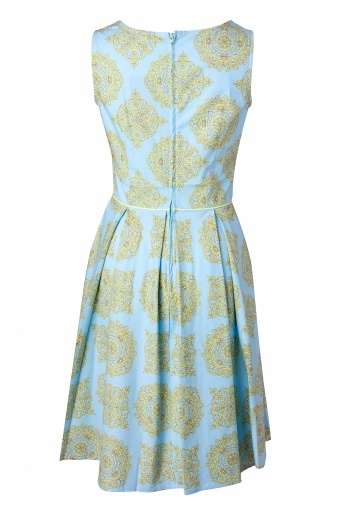 The simple yet sophisticated design together with this beautiful print makes this your must-have summer dress: the perfect day dress or party outfit!